Besides your ID, insurance card, and properly installed infant car seat, the hospital can thankfully provide every single item you need for yourself and baby. But, who wants to pay $59 for a prenatal vitamin, or wear those ugly, crunchy, brown hospital socks that don’t fit. Not I. When you go through the birthing experience for the third time AND go to the hospital without a bag of items you packed yourself, you start to realize what’s important and what’s not. Like I said before, the hospital can provide almost all items for you and baby, but you will probably want your own specific things/brands…so pack it in your bag and have it ready!! Preferably a month in advance! 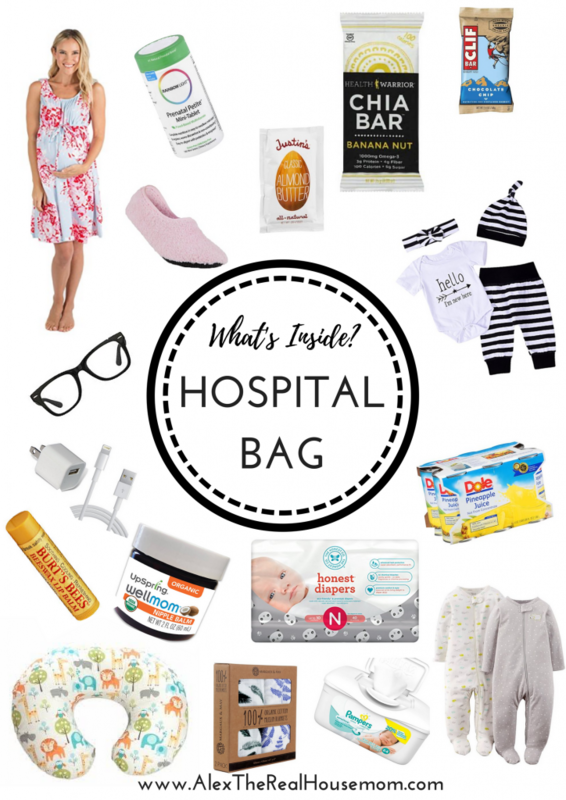 Here’s what’s in my hospital bag! Hospital Gown – A hospital gown will be provided by the hospital (it’s usually a green one), but these are super cute! If you’re splurging on “birthing pictures” you will want a better looking hospital gown. Snacks – High protein and dense in nutrients snacks like nuts, protein bars, peanut butter packs to eat with bananas or apples from hospital cafe. Pineapple juice – An amazing anti-inflammatory gift from God for your entire swollen body after giving birth. Drink it up! Swaddle blankets – aden + anais are a favorite brand of mine! 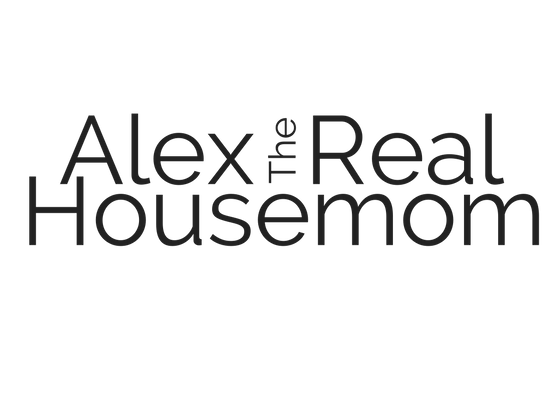 They are made with 100% cotton, breathable, and so so soft! Boppy – By far my favorite personal MUST HAVE. Baby’s ‘Going-Home’ outfit – Etsy has amazing choices! “Hello World” or “I’m new here!” are popular. Mommy’s going home outfit – I prefer a loose comfortable dress since you’ll basically be wearing a diaper home too! I’ve lived in these maxis for the past couple months of the pregnancy. Pillow and outfits for dad – He doesn’t need much and when you’re having baby #2 and beyond, your husband will usually go outside of the hospital walls once baby is born, to be with your other babies waiting at home. Gifts for older siblings – Not only is this a good idea for installing that first positive thought in their minds about the new baby, but others might bring gifts for baby and we don’t want them to feel left out. Ideas: new baby doll, Lego set, activity books, slime (even though it’s the worst thing ever, this is the time to make them happy! ), and disposable camera for them to take their own pictures. A bottle of champagne – Specifically Champagne Bollinger, which has an official royal seal from the Queen herself. Seriously, pack this bottle up simply because you’re a badass who deserves to pop a bottle of classy AF champagne after giving birth! This list may seem small to some people. All my births have been vaginal and don’t require me to stay in the hospital for more than 24 hrs after delivery. If you are in the hospital longer, you will need more clothes, more diapers, and of course, more snacks! When you go to the hospital, you’ll also want to bring along your packed diaper bag, if it’s ready to go yet. That’s another post. 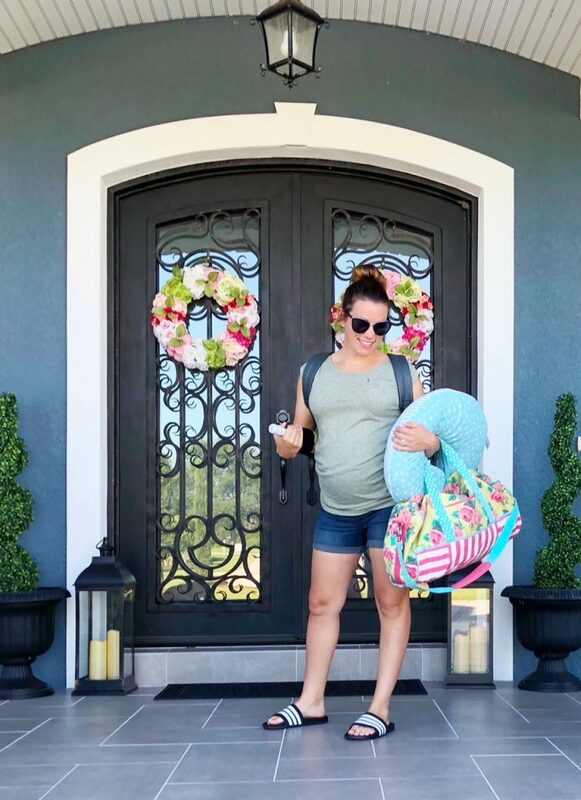 What are some items, not on this list, you had in your diaper bag?